According to Men’s Health, studies continue to show that there are many harsh consequences of not working out, such as: your blood pressure soars, your blood sugar spikes, you get winded fast, your muscles wither, you tend to plump up, and your brain suffers. It is no secret that you need to exercise to remain healthy. It doesn’t matter what you do for your form of exercise, you just have to make sure that you are investing time and effort into working out. When you do not invest this precious time into exercising, you are allowing your body to slowly break down and lose itself. You notice that you are more tired often, you don’t feel like getting up to do things, you are forgetful, and you simply don’t feel like moving. When you have gotten to this point, you know that it is time to change things up before you put yourself at a major risk for developing serious medical conditions, such as diabetes, heart disease, cancer, and many other serious medical conditions on the list. Playing sports like golf can help you benefit from many physical health advantages as well as improves your overall mental health. According to Organic Facts, there are so many different health benefits to playing sports, such as: allows your heat to remain health and reduce you chances of developing any malfunctioning of the heart, control and reduces your risk of getting diabetes, helps you lose and or maintain your weight, lowers hypertension that could result in a heart attack or stroke, helps to balance cholesterol levels, improves blood circulation, increases your immune system, tones your muscles, stronger bones and allows you to have a more positive attitude in life. Playing sports is generally good for you and can only improve your physically and mentally. You want to make sure you incorporate some type of physical activity in your life, so you might as well incorporate something fun and motivating. If you don’t like working out traditionally, playing a sport like golf can help you enjoy exercising and can also help to motivate you. When you enjoy doing something, you are more likely to stay consistent with doing it. There are many different locations that you can go to play golf. You don’t just have to sign up for golf club memberships to play golf. You can take time to explore the outdoors and find places that fit with your lifestyle. For example, if you are someone who likes controlled environments, then you want to try to find a location that provides that. You may want to start off with searching for Topgolf. You should be able to find a list of quality locations that offer entertaining golf locations. 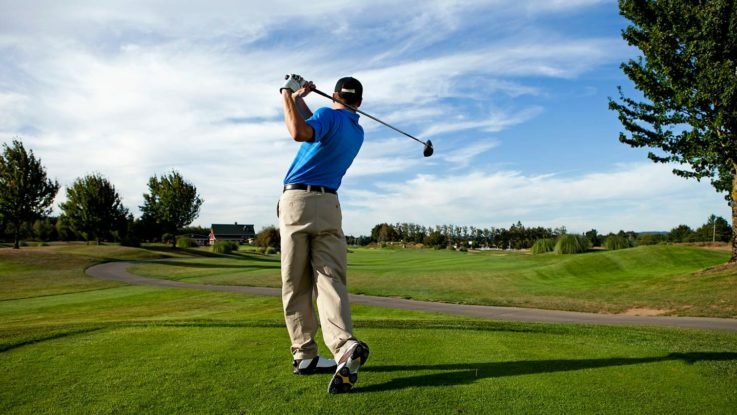 Playing golf can definitely help you stay healthy. It is a sport that allows a great deal of exercise as well as exercise for the mind, since you are concentrating throughout the sport. If you don’t like exercising, then this sport may be something that can help you stay active.